Romain Pilon grew up in France and started to play the guitar at the age of 10 inspired by AC/DC’s lead guitarist, Angus Young. Romain studied with various private teachers in his hometown before entering the Jazz Conservatory of Chambery in 1997. After auditionning for the famous Berklee College of Music, he was awarded a scholarship and moved to Boston for 4 years where he studied with world class musicians including Mick Goodrick, Hal Crook, Dave Santoro, Joe Lovano and Peter Bernstein. 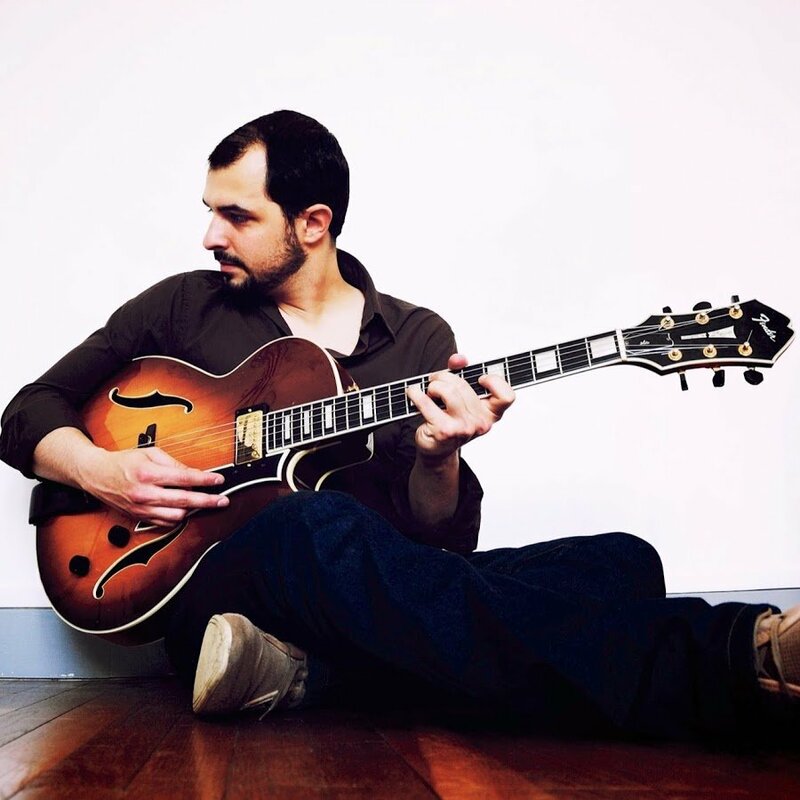 During his studies Romain was presented with 3 Berklee College music awards and in 2002 his quartet opened for Pat Metheny, representing the entire school guitar department of over 1000 students. Whilst in Boston Romain performed Christian Scott’s debut CD featuring Walter Smith III. In 2004 he formed his band with tenor saxophonist David Prez, the David Prez/ Romain Pilon Group. To date, they have released two CDs to critical aclaim, “…probably one of the most sincere and enthousiasthic jazz groups to emerge in france” Jazz Magazine-Jazzman. Since 2010 he is a member of the Paris Jazz Underground collective, reuniting six autonomous musicians who aim at exposing their music through their combined endeavor. Their last album received the highest rating in Jazz magazine (Choc). His first trio record as a leader, recorded in Ny, with Colin Stranahan (dr) and Matt Brewer (bs) was released in April 2012. It was selected among the 7 “Chocs”(highest rating) of august in Jazz magazine, also among the 6 best releases in Jazz News August 2012. In october 2013 he released his new album “Colorfield” feat. Walter Smith III on tenor, Jamire Williams on drums and Michael Janisch on bass. Colorfield was awarded 4 stars in Jazzwise and the FInancial Times, also listed as the top 6 albums on november ‘ Jazz News.